Labor day weekend I spent a few days down in the middle keys with the family of a friend. 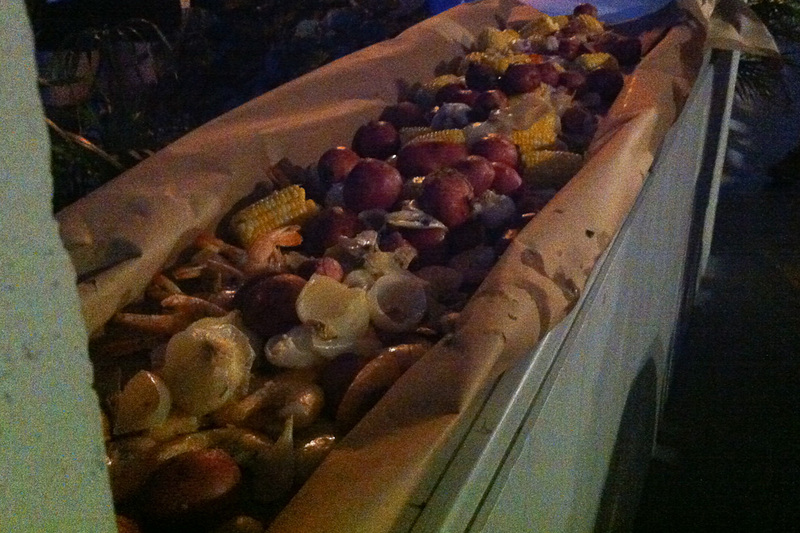 There was some serious lounging, a lot of drinking, not a little fishing, and quite a bit of eating. 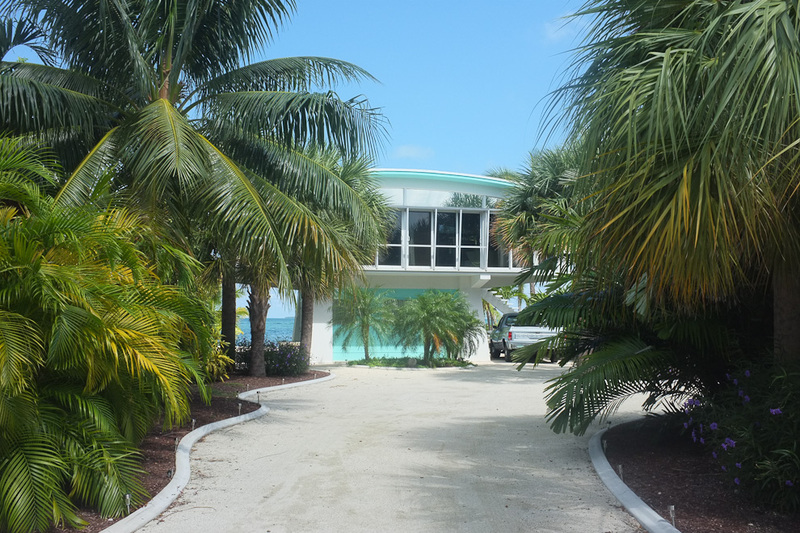 While Key West holds on to its bohemian let-everything-hang-out party culture, this side of the Keys has a casually posh, almost Hamptons-style thing going on. 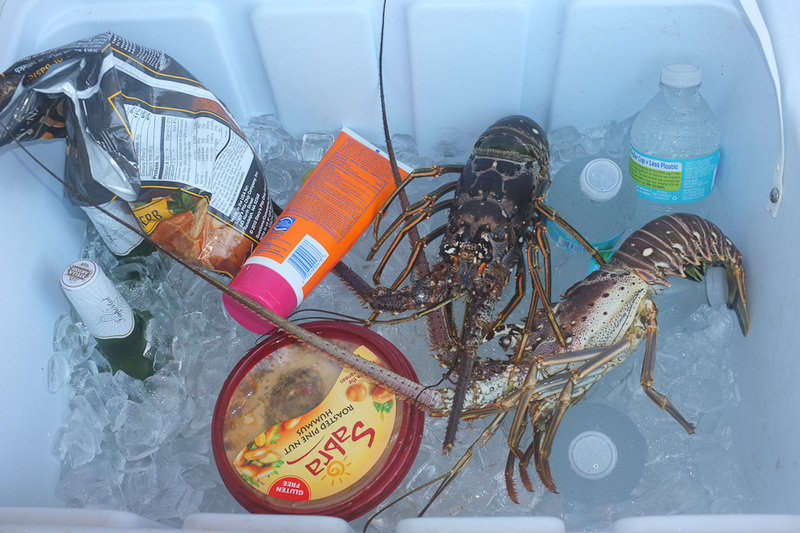 Here’s a couple of lobsters chilling in a cooler. I’m not going to lie — I didn’t catch any lobsters. 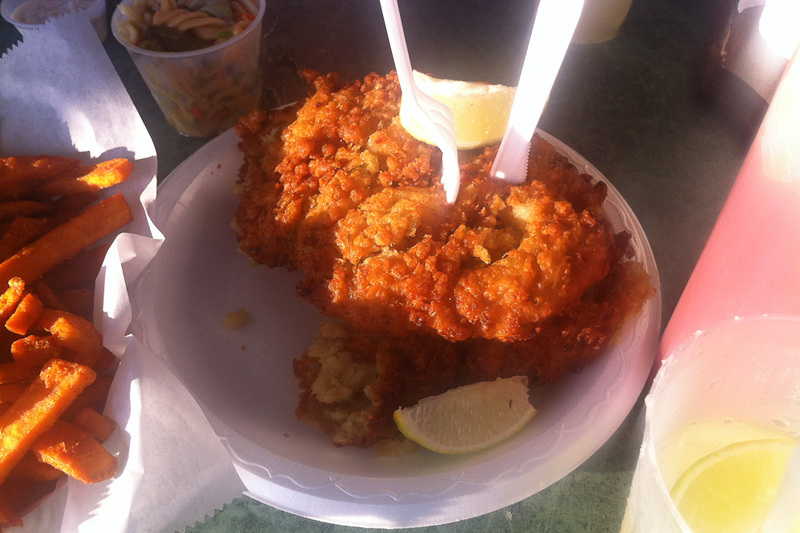 I did do some fishing off the side of a boat and caught some fish (which were delicious) with a lot of help, but there was no time for photos. This is what it looks like when you’re not out on the open water (“open water” = a technical term that I may or may not be misusing). 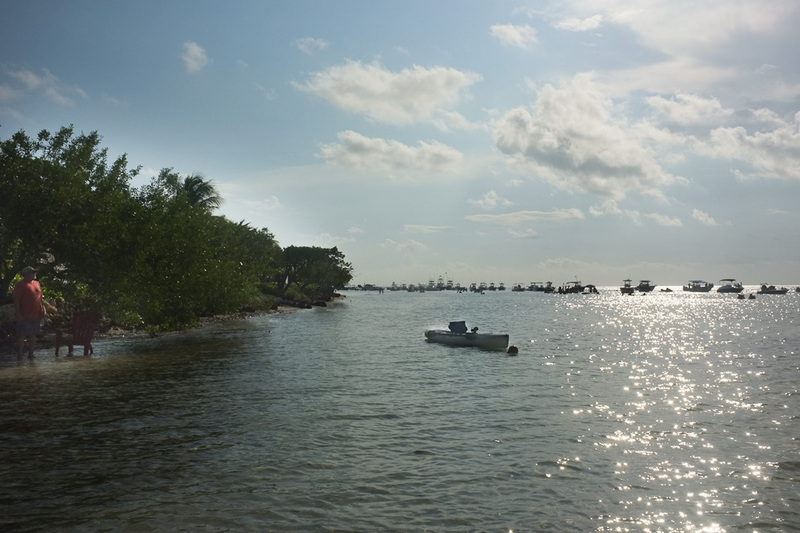 Boats from up and down the keys docked in 1-2 foot deep water, getting down with some serious labor-day recreating. I’m given to understand that the recreating is this heavy for maybe four weekends per year, and otherwise goes from moderate to light on Saturdays for most of the year. The weather was generally sunny and spectacular. 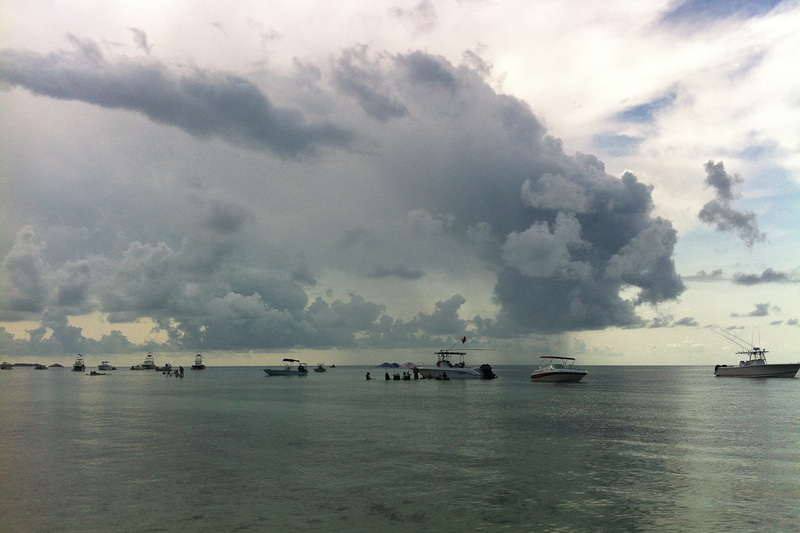 I timed this photo to show that the skies in the Keys are often ineffably spectacular. Ok, now let us get into some kitschy tourism stuff. 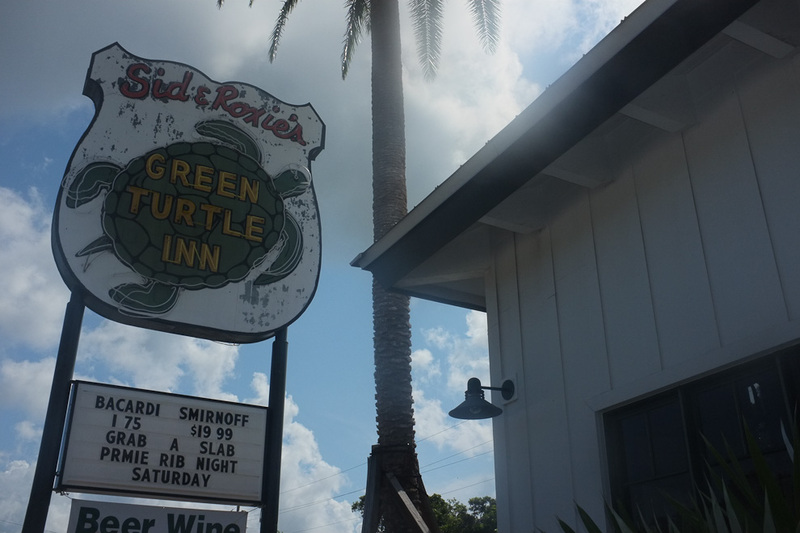 For $1, you can see the giant tarpon of Islamorada. Tarpon are large carnivorous fish endemic to the Gulf, which reportedly can grow to weigh up to 300 pounds and maybe 8 feet long, of which these were large enough to give credence to. For another $3 you get a bucket of tarpon food (dead fish about the size of your palm) that you can toss to them, or in the case of this guy, hold above the water and let the tarpon jump up and grab out of your hand, somehow not taking pieces of your fingers off with. Also note the pelican in the bottom of the frame, who would like to get in on the action but finds it to be a bit much. 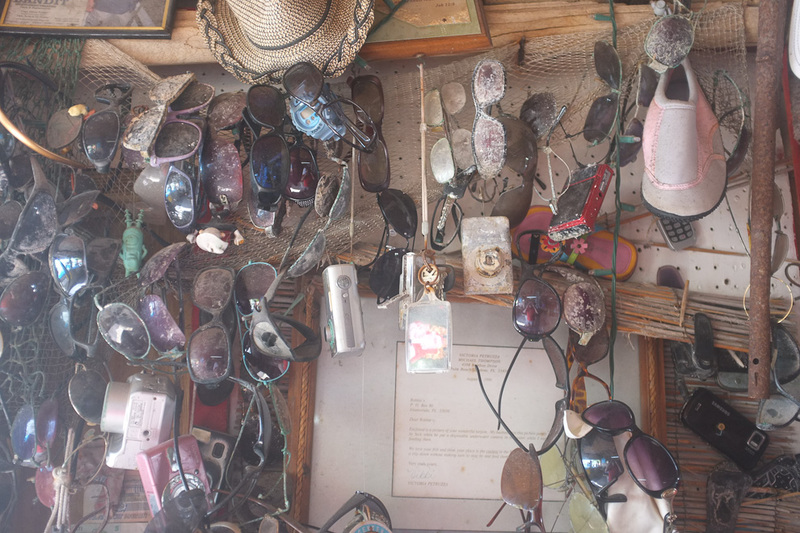 Here’s the Keys you know and love, alive and well in the shack where you pay your $1. 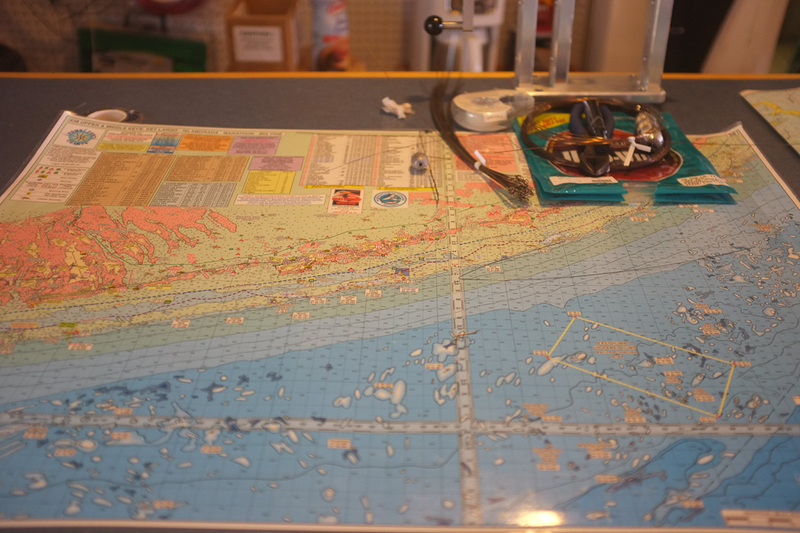 Sea charts and fishing rigging. Getting scientific with it. 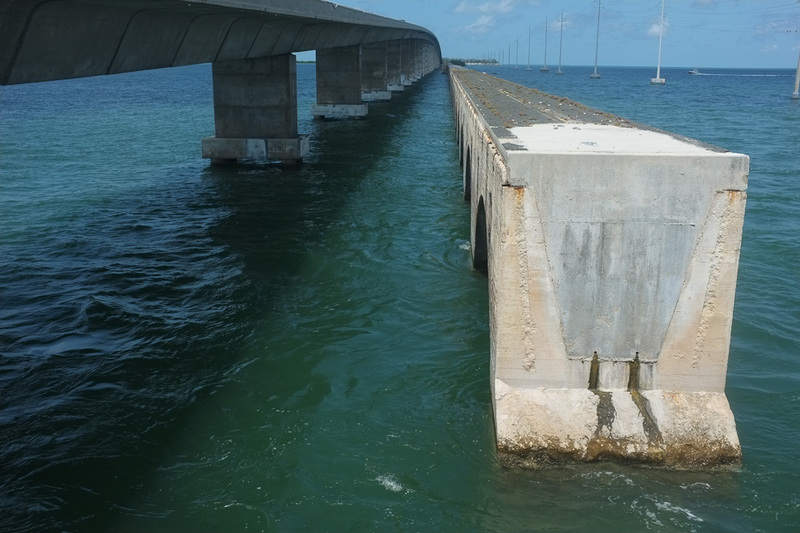 The original overseas highway. 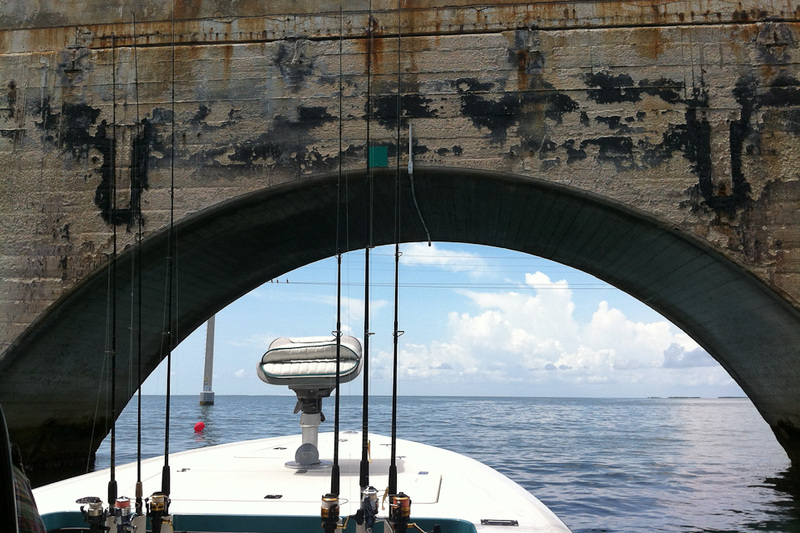 Remnants of it line the new overseas highway, and many are used as fishing and recreational piers. Construction photos here. 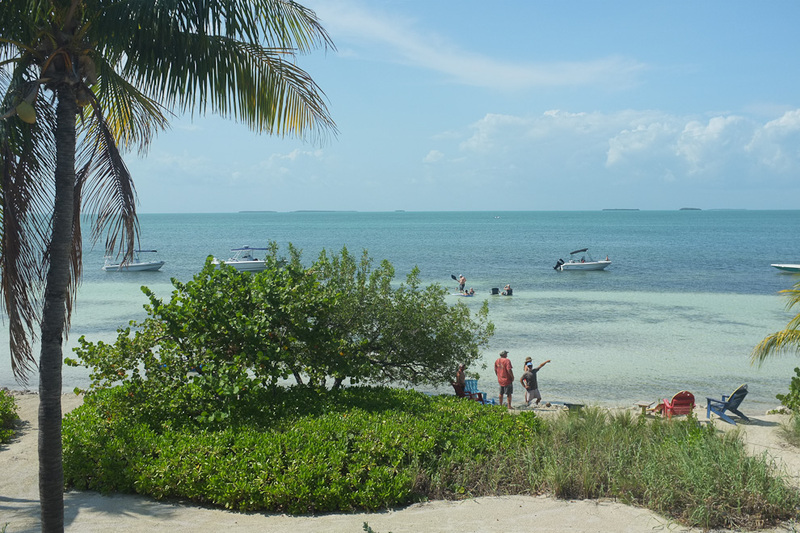 Fishes of the Keys! We caught more than a couple of different ones of these! I can’t say whether fishing is easy or not. I had some beginner’s luck, followed by a dry spell, and the whole thing was brief enough to be lots of fun. (Also: snorkeling!) I would try it again, and I would recommend it to a friend. Followed by Key Lime ice cream pie. 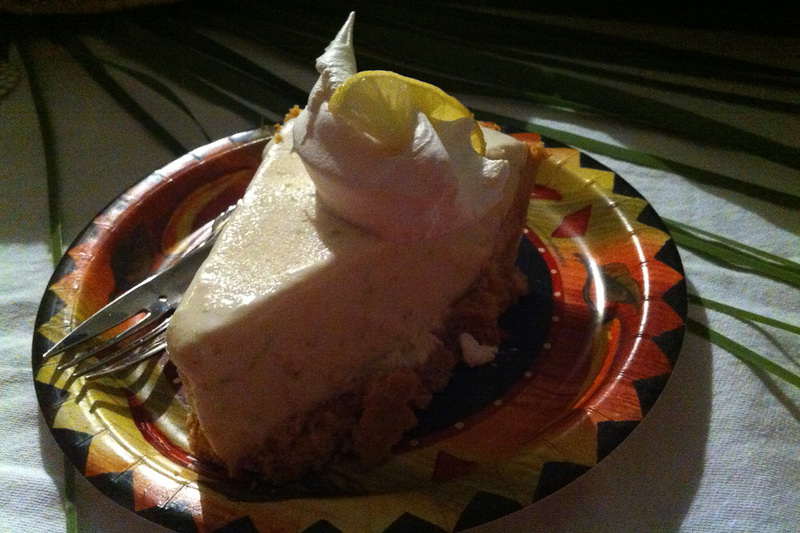 On another occasion non-ice-cream Key Lime pie — with meringue — and Key Lime cake were consumed. Key lime juice was liberally applied, and Key lime pie martinis (?) were enthusiastically offered. These people are not messing around with this stuff. Basically, this is the life. 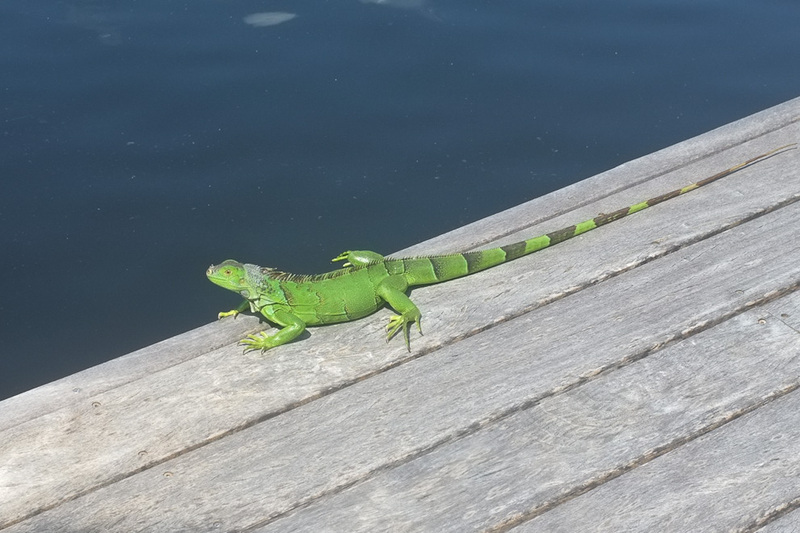 Here’s something you didn’t know: iguanas can swim. I cornered this guy to the edge of the dock and he dived right in, swimming like a lightning bolt sea snake, and emerging in some mangroves across the way. 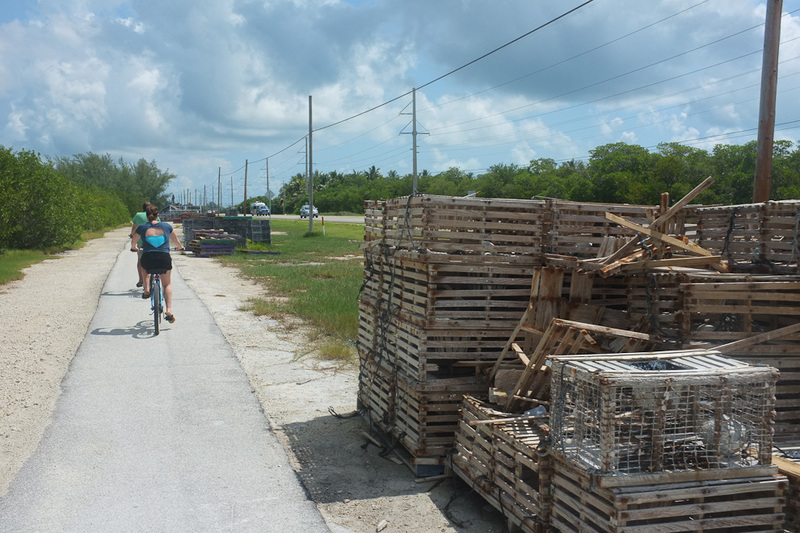 I guess probably photos of lobster traps are de rigueur? One last photo of frolicking in the water. Sorry. 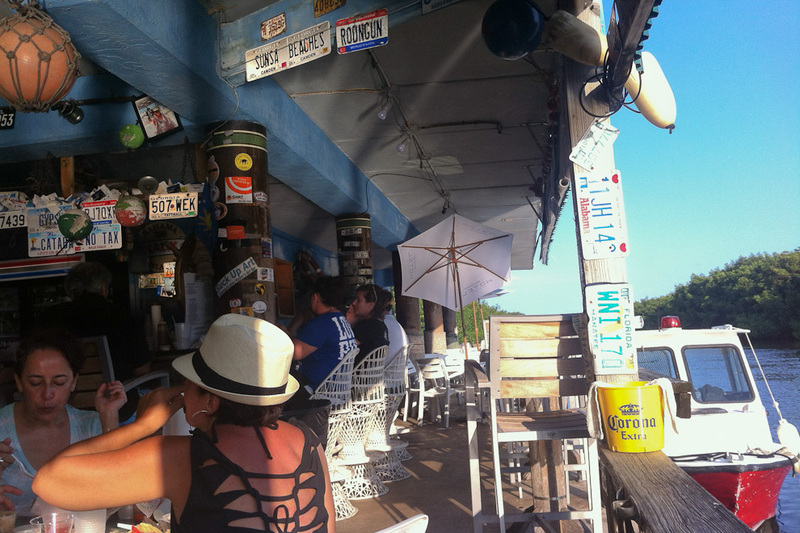 And if you’re like me, no trip to the Keys is complete without a stop at Alabama Jack’s. Alabama Jack’s doesn’t have live country music anymore, and I guess they never did have pitchers of draft beer (in my memory it has both), but they still have damned fine conch fritters, sweet potato fries, and margaritas. Which is not a terrible way to ease back into mainland reality.